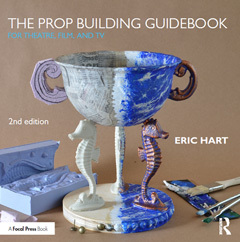 Our final production of the season at Triad Stage was a new piece called And So We Walked. Written and performed by DeLanna Studi, it recounts her journey to walk the Trail of Tears with her father and rediscover her Cherokee roots. The show itself is traveling around the country for the next few weeks before another full production at Portland Center Stage next spring. The show takes place in both the real world and a theatrical dream world, and one of the props I built was an ancient burned box which held secrets. 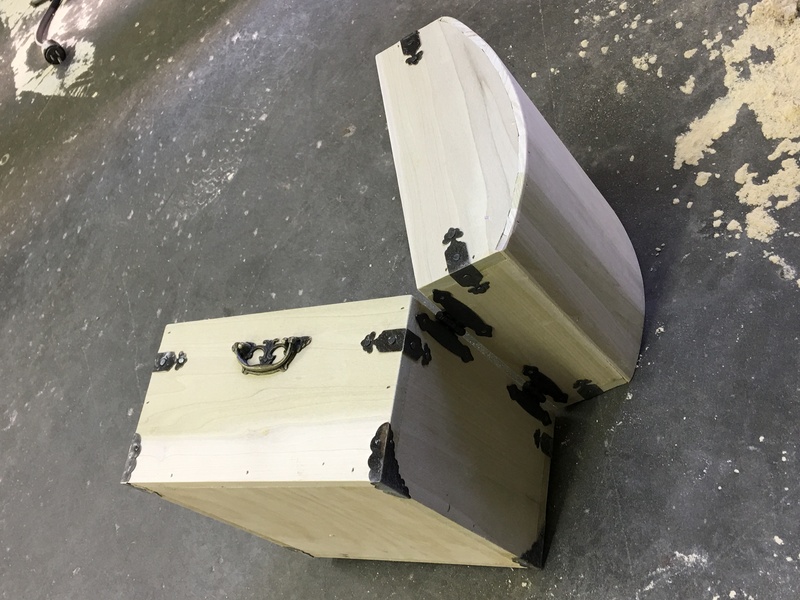 We determined the size and shape in various devising sessions and rehearsals, so I simply made another box out of nice materials to match a rehearsal version I had already made. The carcass was constructed from half-inch poplar I bought at Home Depot (my planer was broke), with a piece of plywood for the bottom. 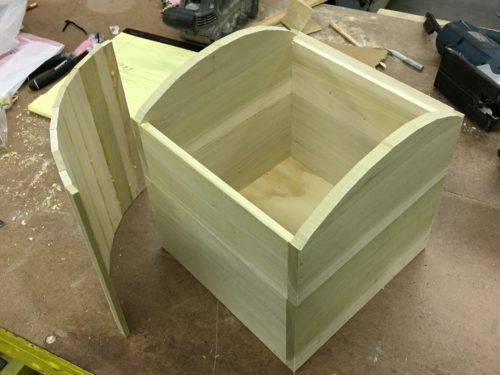 The top wanted to be vaulted, so I ripped a number of slats from quarter-inch poplar, beveled the edges, and glued them together to make the vault shape. Once the top was all glued together, I ran a belt sander over it to transform the faceted surface into a smooth curve. The hardware was a mix of stuff from the hobby store and pieces I had in stock from other boxes I had built. A lot of this decorative brass box hardware comes straight from China, so you have to wait a few weeks or even months to get it shipped. Whenever I order some, I get several options and extras so that I slowly build up a stock to use on projects that have too tight of a deadline to wait for the shipping. 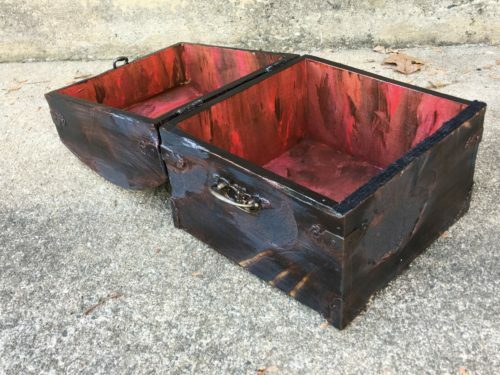 The box is described as “burnt”, so my next step was to burn it. I used a basic propane torch you can get at the hardware store. I charred the whole outside of the box, and allowed the flames to go to town on a few areas to really break up the surface. Once it was cool, I removed all the charcoal with a wire brush. 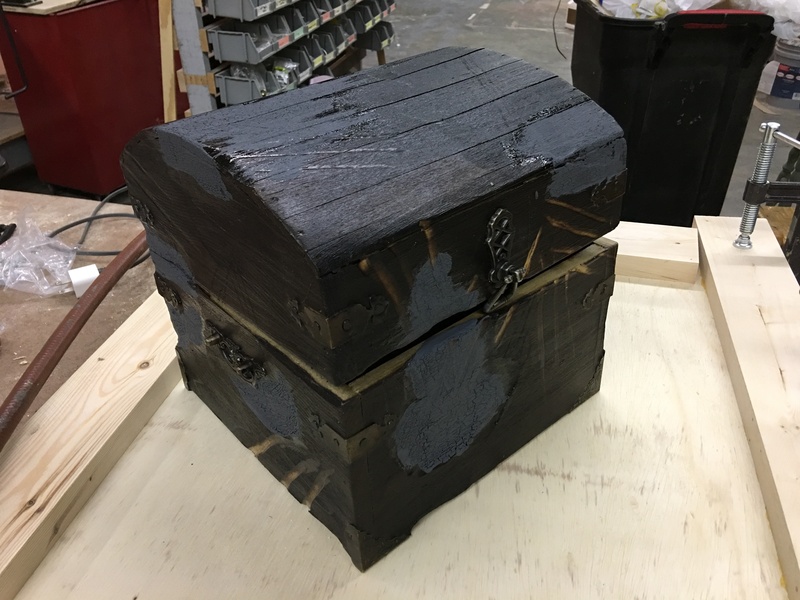 I sealed it with shellac to keep any charcoal remnants from staining the actress’ hands or white costume. In the areas which burned away the most, I applied some grey crackle paint to simulate the charcoal I had just brushed away. 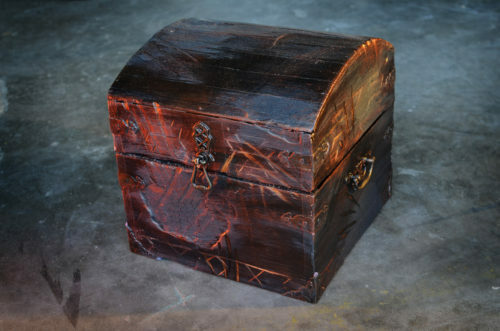 The box is also described as having deep scratches, as if some mythical being had been trying to claw it open, so I added those with a grinder and Dremel. 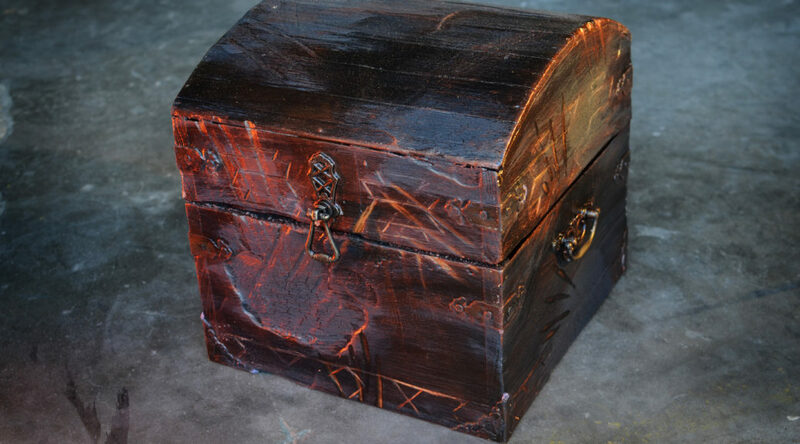 The inside received a wet blend of various acrylics to give it a deep red aged appearance that suggested blood. I dry brushed a few other colors, including some metallics, over the outside to help accentuate the imperfections and texture. During tech, the director really liked the way the scratches looked on the box and wanted some more. She asked for some Cherokee patterns to be engraved around the edges as if some primitive creature had carved them in by hand. Once I added those, the box was complete.